1. What is the Textured Paper? Classic Textured Paper is a premium white colored textured paper. The surface is white and embossed unevenly. This texture gives a sense of volume with the uneven embossing and portrays the tactile sensation of a finely woven fabric. 2. Why Choose the Textured Paper Business Cards? 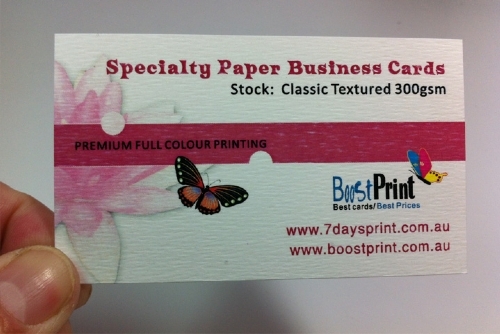 Textured business card paper will really make your business card stand out and be unique. This paper really appeals to the touch and when you hand your business card to your clients they are sure to be tempted to give your business card a feel or two. 3. Can Textured Paper Business Cards be written on? 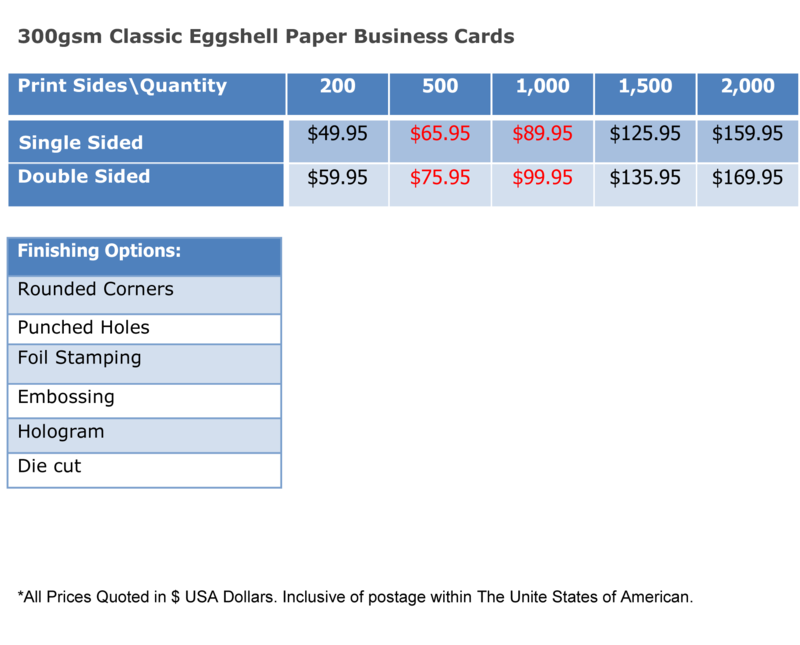 Yes, we can split up into 250 cards for one design, 250 for another name. But Extra Split fee will be charged for the spliting order. You can contact us with Email us at contact@boostprint.com.au and inquire direct with our bespoke printing expert. We will give you a quote there. --Ready to print. If your artwork is fine to print, our pre-press department is preparing your job for print.